Celebrations are a part of our life! Actually life should be a celebration, a party of our achievements, a banquet of our abilities and a triumph of our successes. We progress forward, sometimes at a faster pace and sometimes the pace is slower. Keeping the positive aspects in view is so important but we often fall back and waiver, brooding over things we have not accomplished. We tend to focus on the negatives and get wrapped up by the failures and our inabilities that it tends to paralyze us so much so that we are incapable of moving forward. Every now and then I find myself in this situation and it often is suffocating as I try to break free. I am my own worse critique and hate stagnating. 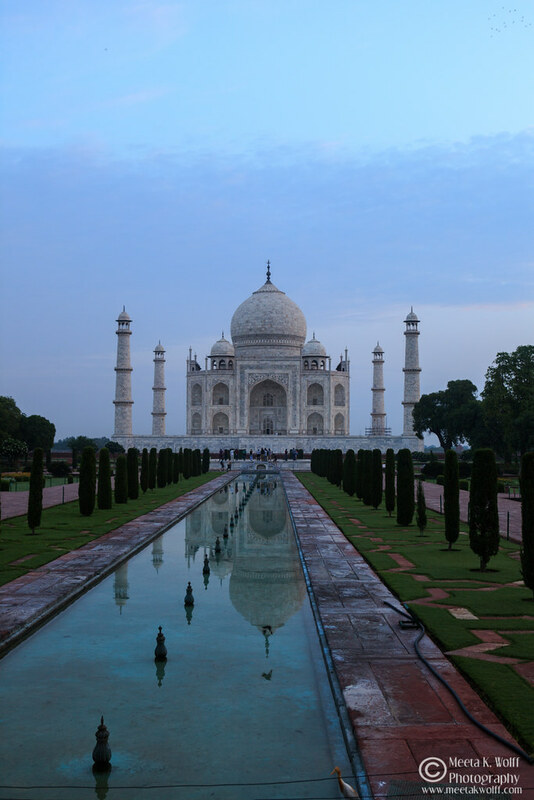 Moving – forward, upward or even sideways – is something I know how to do well. So when things slow down, regardless in which aspect of my life, I tend to go into an avalanche of fretting. I worry and I beat myself up – trying to push myself out of the rut, almost willing things to accelerate and progress again. At such times it seems to me that everyone is moving faster, reaching further and … just progressing being busy. Being busy seems to be the current trend I realized and it subconsciously adds to the guilt that one should be doing more. Let’s stop here! I recently read an article The disease of being busy and it struck a cord on so many levels. One of the quintessential points I abstracted for myself amongst many other points was taking time to reflect and use the slower phases to examine the state of my heart and mind. My problem is not the balance but the fear of coming to a standstill – does that make sense? In times like these we should remind ourselves of what has been accomplished and produced. How far have we reached our goals and what positive effects have come out of it? For me my answer always brings me to my blog! Now I come back to the celebrations! 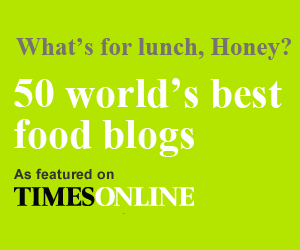 I celebrate ten years of What’s for lunch, honey? this week. Over the past ten years, this space has led me to the most amazing opportunities, incredible experiences and some pretty fantastic friendships. Through this blog I have learnt to be flexible yet keep a focus and this space challenges me and pushes me constantly. My blog has also kept me going through some hard times and gave me a reason to search and research, developing my knowledge on so many levels. 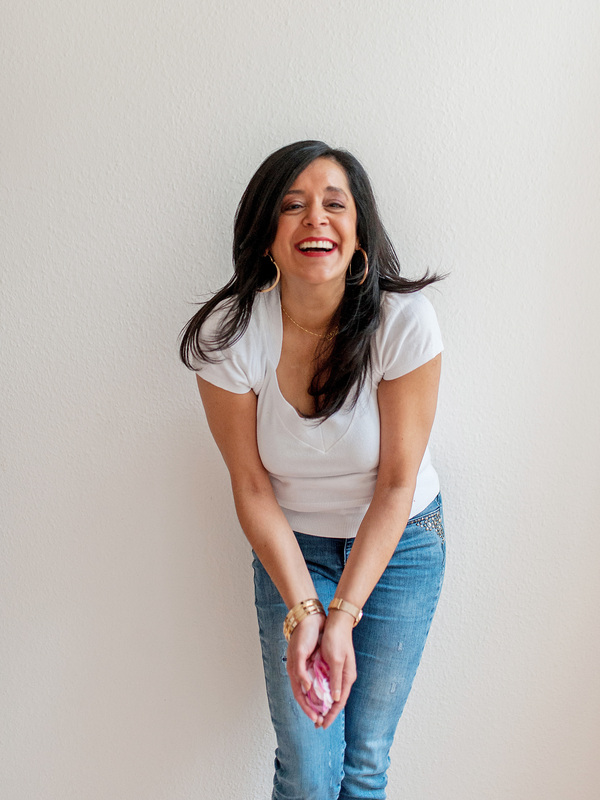 Last year I shared my 4 personal rules that have kept me blogging for all these years. They are like a beacon guiding me and my passion – 4 rules that I think many bloggers should consider when they need to re-find the path. When I see what has come out of a quick decision to create a basic blog back on a cold Sunday in February 2006, without a plan or a notion of what I was doing – my perspective changes. For ten years I have been doing many things but definitely not standing still! It’s time to celebrate – to commemorate all our hard work, those positive moments and the big highs. I thought we can celebrate with my favorite pancakes. 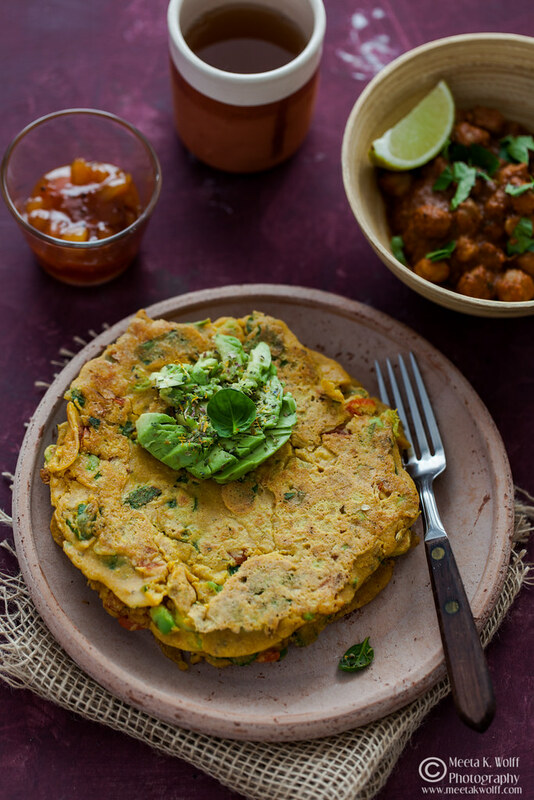 Indian chickpea flour pancakes called chilla bring back memories of big family brunches at my nana and nani’s home in Delhi. Many years later and many kilometers away, I am making chilla for my small family. We love the wonderful aromas of spices that come together with the rustic flavors of chickpea flour infused with a mix of spices. 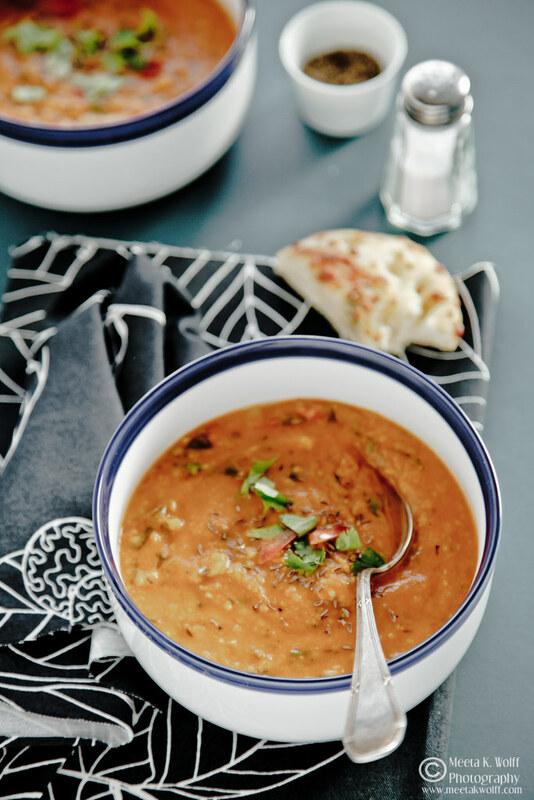 In this version I use earthy turmeric, bittersweet fenugreek and warm sweet fennel which complement the heat of chilli. To the basic batter I add spinach and kale leaves and a few chunks of avocado to make this a wonderfully piquant and humbly aromatic dish. 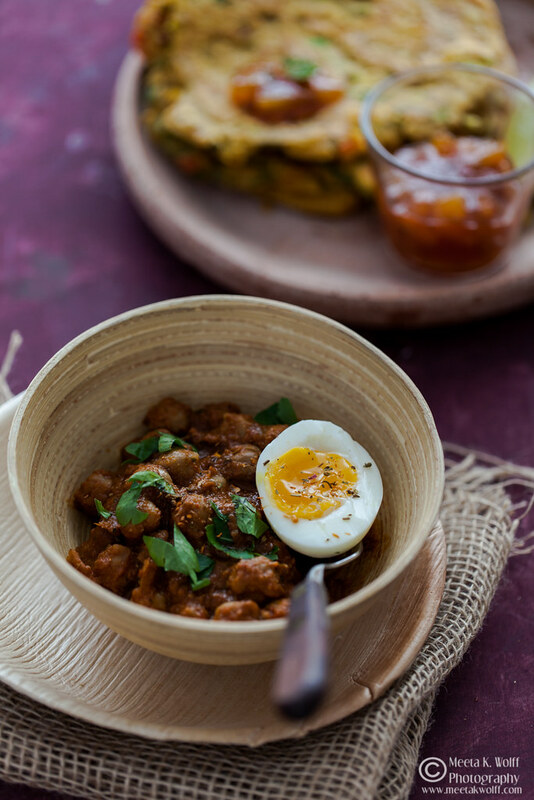 I love this dish with a side of masala channa or just some Indian spiced scrambled eggs and a good serving of spicy fruity mango chutney. Notes: You will find the recipe for the my quick and easy chickpea masala here Recipe for my basic and spicy mango chutney. Ten years is certainly a milestone I feel proud of. I’ve managed almost 900 posts and my pages have been viewed about 8.9 million times in the past ten years. Figures are not really my thing but these numbers have a different meaning to me because I rate them as the happiness it has brought me and that so many of you keep coming back here. Now roll up your sleeves and dig into this fantastic meal with me! 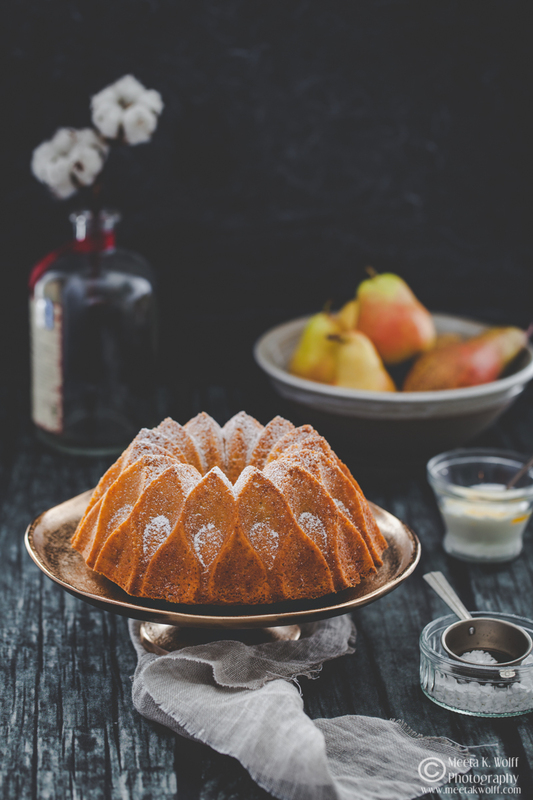 Do not miss the upcoming 2-day intensive food styling and photography course in the stunning Rome countryside! Take your passion and grab your chance to improve your food photography. 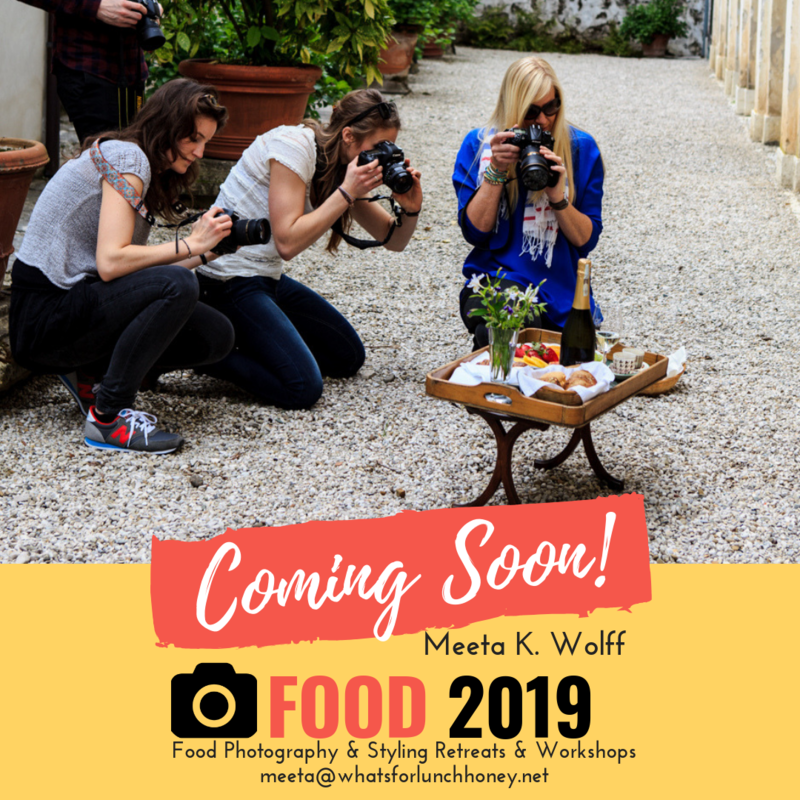 Join me and Cooksister for a unique food experience this May! >> Get the details and the link to your personal ticket now. Don’t miss your opportunity to unleash your creativity. Delicious looking pancakes! A great combination of flavours and ingredients. I love chickpea flour. 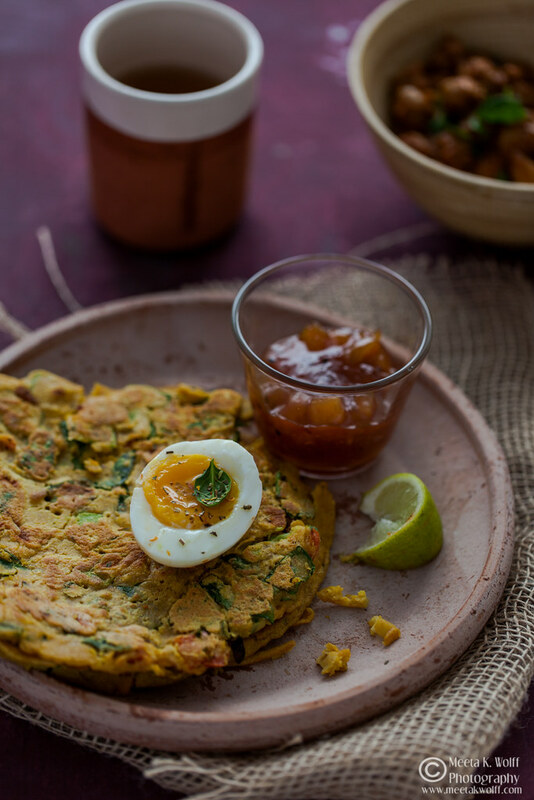 Thanks for the great recipe for Spinach flavored Chilla. Pancakes with avocado and spinach sound very interesting. It's something totally worth trying. Thanks for the idea! I think I've probably met you online right about the time I started blogging myself about 8 years ago. And still to this day I'm happy I found you. It's not often that you find friendships as valuable as yours so I sure hope to many more years of that..;) hugs and kisses and congratulations on this milestone! How long does chickpea flour keep? Should it be stored in the fridge or freezer? 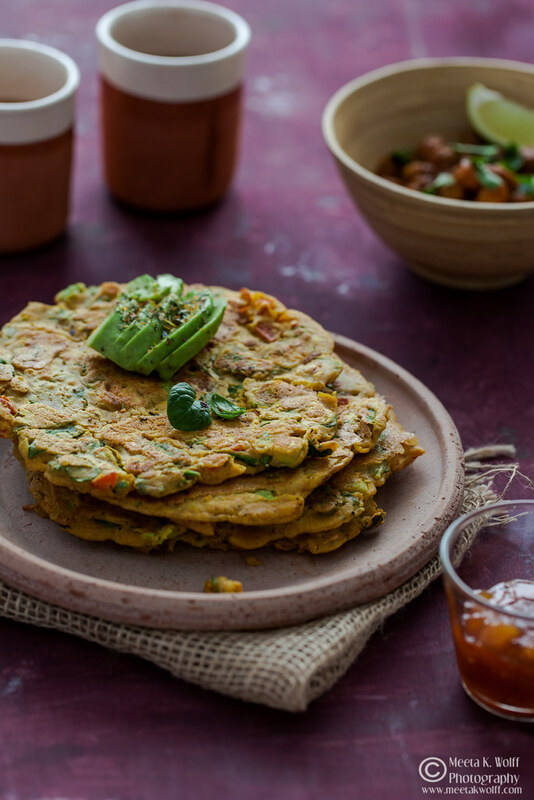 I love chilla and I have tried various version, will try this soon. Last week I was so touched by your gesture of participating in the DMGLGit event. To my surprise while I was hunting the contest rules where I came across your blog from 2011 I guess where you hosted it once. Oh my god what a glorious 10 years and not a pinch of pride. I just wanted to quote the greatness of journey comes from the peace within and everything else is just dust from the road. I see you at peace enjoying yourself working as and when opportunity arrives. May my journey be so! Amen!! One more thing I smell chilla, something from our roots Lots of love!! congratulations on the 10 years! 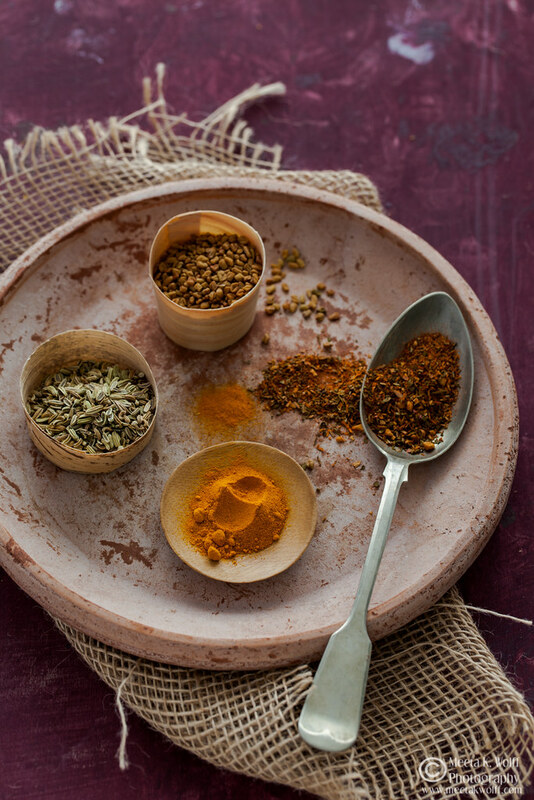 Amazing and loving this spice series too - great photos. Those are too delicious looking. Surely gonna bake in some. Happy Anniversary! I can relate so much to this post. I've cut back this year on my blog to try to feel a little saner in life. As for this delicious recipe, my family would love it. Wow loving the sounds of this. All those spices are so good and the combination of the chickpeas and kale is awesome. Beautiful pancakes!! I love all the flavors in them. Nice photos...Pinned. Congratulations on your 10 years. Beautiful photos and the pancakes look wonderful! I never cooked with chickpea flour - Something new to explore. Congratulations 10 years! I hope I get there too! Happy ten years of blogging, Schatzi! 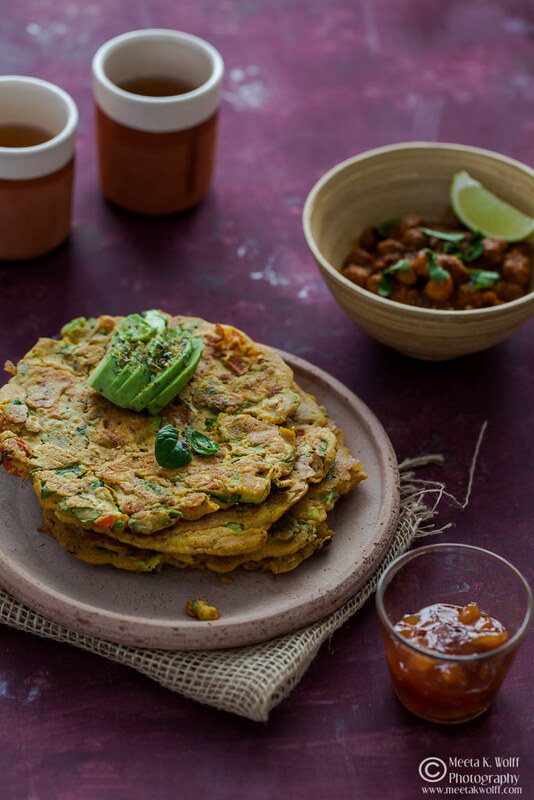 SO glad that we both made that random decision one Sunday evening to start blogging otherwise we would never have met ;) Love these pancakes - I can just imagine how good they are with a steaming bowl of channa masala! Who said pancakes can't be healthy? Happy bloggiversary! Totally get what you're saying about not being mindful nor living in the moment. The past month I've stopped pushing myself so hard and all of a sudden life has become more fun and joyful. More people should try it!